Charlotte Bronte’s seminal work needs very little introduction and under the impressive direction of Sally Cookson, the story is beautifully brought to life in this National Theatre production, using a slew of innovative and varied theatrical techniques to provide a highly contemporary take on a classic tale. The set, consisting of a white curtained backdrop and multi-level wooden platforms accessed by a series of ladders and steps, proves to be incredibly versatile and effective in its portrayal of the various locations. The cast scramble over the set with energy and enthusiasm as they portray multiple characters resulting in an almost constant flow of movement on stage. Simple props and a healthy dose of imagination on behalf of the audience provide for an effective, original and inventive presentation. 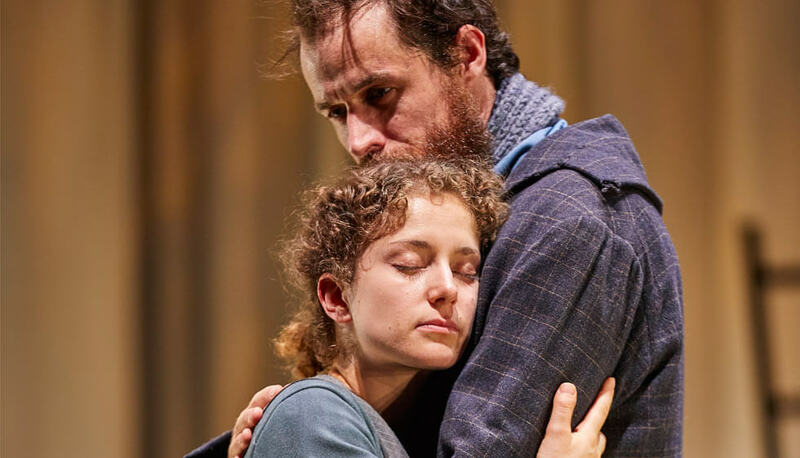 Nadia Clifford’s portrayal of the titular character is full of confidence, life and determination; and Tim Delap’s performance as Rochester compliments it well, with his aloof and brooding quirkiness. Overseeing events is Melanie Marshall, who observes and narrates key aspects of Eyre’s life with bursts of jazz infused-song utilising her beautifully distinctive voice. The remainder of the cast play numerous roles with clear demarcation between characters and, in the case of Paul Mundell, with a little humour injected into the proceedings. Quite what Bronte purists will make of the production is unknown. Whilst the production sticks closely to the source material and lifts out text, passage and prose from it, this is not your run-of-the-mill costume drama. Instead it is a refreshingly inventive, highly stylised and imaginatively presented piece which never loses the spirit of the novel; it is as trailblazing and forward-thinking as the central character herself. Jane Eyre is at Sheffield Theatres (www.sheffieldtheatres.co.uk) until 22nd April 2017 before continuing on its national tour.